We created the perfect post workout meal, mid afternoon snack, sweet breakfast or lovely dessert to share with friends. Look at this creamy rich treat! Would you believe that is totally healthy, vegan, gluten free and packed with plant based protein?!? 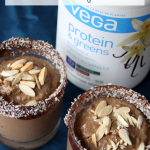 And what better source of plant based protein, than #vegagreens #protein! What’s so Rad about Protein & Greens? Nourishing your body shouldn’t be hard work. 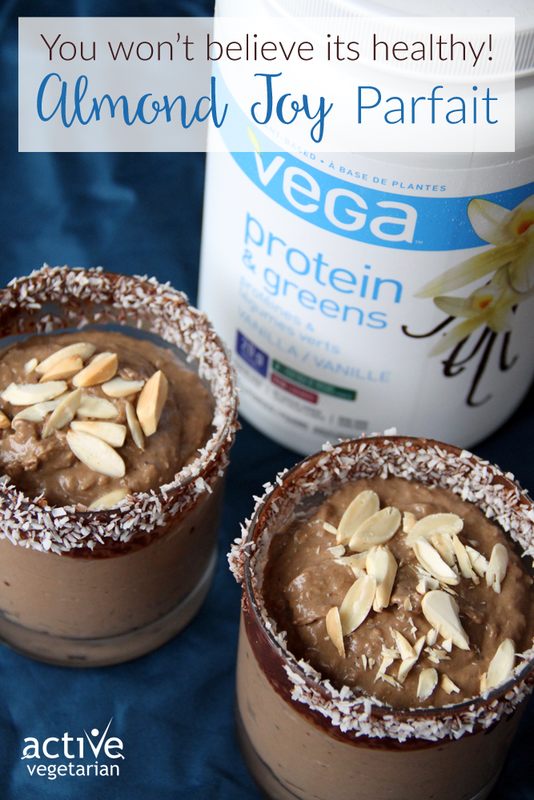 Vega Protein & Greens covers the basics as a convenient protein boost that makes nutrition on-the-go feel—and taste!—like a piece of cake. 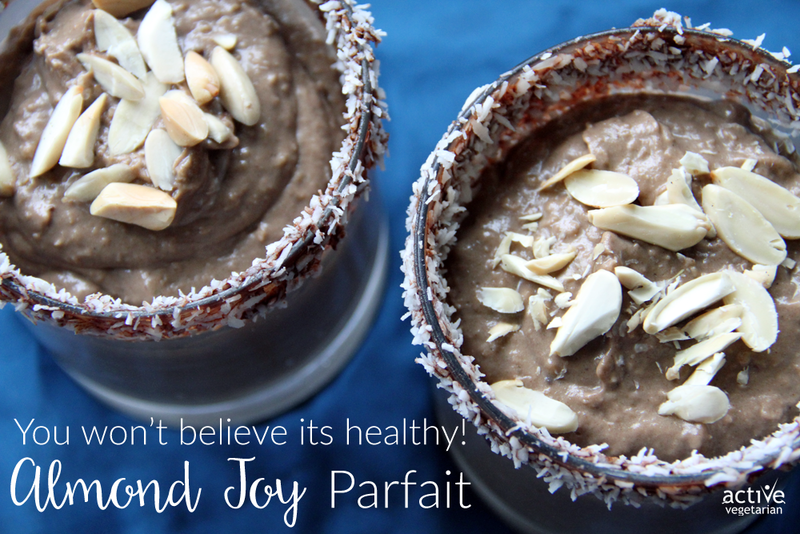 Start adding it to your daily routine today with great recipes like this…. Combine first 8 ingredients in a food processor and blend until smooth. For frosting the glass (optional): Melt good-quality dark chocolate, and allow it to cool slightly. Dip the rim of your 2 glasses into the chocolate lightly. Dip the chocolate rim into the coconut mixture to rim each glass. Then fill your glasses with parfait mixture and garnish with sliced almonds. Place in the fridge to chill for couple hours or overnight.